Our multidisciplinary team of scientists and lecturers are attached to our associated centres and faculties. They work together on a range of projects. Dr Gisele Dias PhD CPsychol is a neuroscientist, Chartered Psychologist and coaching psychologist. She has full divisional membership of the British Psychological Society Division of Academics, Researchers and Teachers in Psychology (DARTP) which promotes the professional interests of psychologists who teach and/or conduct research. In addition to her focus on neuroscience research, she has also undertaken training in Cognitive Behavioural Therapy and Coaching Psychology. She is Director of the Coaching Psychology Unit and member of the Translational Neurobiology Unit at the Federal University of Rio de Janeiro (UFRJ), Brazil. She is Consultant Editor of the new publication, European Journal of Applied Positive Psychology and member of the international editorial board of the International Journal of Stress Prevention and Wellbeing. She has published several original articles and review papers in both psychology and neuroscience journals. Her main research areas of interest are the neurobiological correlates of coaching outcomes and the interface between coaching, positive psychology and mental health/wellbeing. With members of the Faculty (Palmer & O’Riordan), she co-authored Perspectives and challenges for the study of brain responses to coaching: Enhancing the dialogue between the fields of neuroscience and coaching psychology.She is first author of “Cognitive-behavioural coaching: evidence-based and solution-focused human development”, published in Brazil in 2015 by Editora Cognitiva. Dr Nollaig Heffernan, PhD CPsychol, is a Sport and Exercise Psychologist (BPS) and a member of the Psychological Society of Ireland. She is an independent Management Consultant and works with businesses from sole traders to multinationals specialising in Leadership and Management, Organisational Psychology, Workplace Performance and Stress Management. In her role as a Sport Psychologist she works with all abilities from beginner to elite in a wide range of sports. She is a successful rowing coach with wins at national and international level. She regularly speaks at conferences and universities as a specialist lecturer or guest speaker and is a contributing author to a number of business books including the Association for Coaching’s Psychometrics in Coaching and Leadership Coaching. Her interests include the neuroscientific make-up of high performing individuals, the cross-discipline transfer of effective coping strategies, resilient leadership and enhancing wellbeing in the workplace. She is on the International Editorial Advisory Board of the International Journal of Stress Prevention & Wellbeing. Professor Stephen Palmer PhD CBiol CSci CPsychol is a Chartered Biologist, Chartered Scientist and Chartered Psychologist. He is a member of the British Neuroscience Association and the Federation of European Neuroscience Societies. He is President and Honorary Fellow of the International Stress Management Association (UK), President of the International Society for Coaching Psychology, and Vice President of the Institute for Health Promotion and Education, former President and Honorary Fellow of the Association for Coaching. He is Co-editor of the European Journal of Applied Positive Psychology and the International Journal of Stress Prevention & Wellbeing. He is a former Co-Editor of International Coaching Psychology Review, former editor and now Consulting Editor of Editor of the International Journal of Health Promotion & Education. He has written/edited over 50 books including Introduction to The Brain, Nervous System and Neuroscience, Brief Cognitive Behaviour Therapy, Handbook of Counselling and the Handbook of Coaching Psychology. His other posts include being visiting Professor of Work Based Learning and Stress Management at the Work and Learning Research Centre, Middlesex University; Adjunct Professor of Coaching Psychology at the Coaching Psychology Unit, Department of Communication and Psychology, Aalborg University, Denmark; Director of the Coaching Psychology Unit, City University London; Honorary Director of the Coaching Psychology Unit at the Federal University of Rio de Janeiro (UFRJ), Brazil, BABCP London Branch Co-chair; BABCP Compassion SIG Co-chair; and a Vice President and Founder Director of the Society for Dialectical Behaviour Therapy. With members of the Faculty (Dias & O’Riordan), he co-authored Perspectives and challenges for the study of brain responses to coaching: Enhancing the dialogue between the fields of neuroscience and coaching psychology. He supervises PhD and DPsych doctorate students at City, University of London. His interests include the neuroscience of stress, resilience, wellbeing and the application of psychotherapy and coaching to enhance wellbeing. Dr Siobhain O’Riordan PhD CSci CPsychol is Chartered Scientist and Chartered Psychologist. 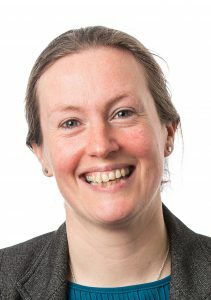 She has full divisional membership of the British Psychological Society (BPS) Division of Academics, Researchers and Teachers in Psychology (DARTP) and is a member of the BPS Psychobiology Section. She is Course Co-Director on the stress management and coaching programmes and a trainer at the Centre for Stress Management. She is a an International Society for Coaching Psychology Accredited Coaching Psychologist and Supervisor. From 2013-2015 she was Editor of the International Journal of Health Promotion & Education. Currently, she is Founder Chair of the International Society for Coaching Psychology, Consulting Editor of The Coaching Psychologist and Editor of Coaching Psychology International. She is Co-editor of the European Journal of Applied Positive Psychology and the International Journal of Stress Prevention & Wellbeing. Her other roles include supervising doctorate students at the Coaching Psychology Unit, City University London, and a Director of the International Academy for Professional Development Ltd. With members of the Faculty (Dias & Palmer), she co-authored Perspectives and challenges for the study of brain responses to coaching: Enhancing the dialogue between the fields of neuroscience and coaching psychology.